Cable TV is suffering as part of a general slowdown in pay-TV subscriptions. According to IHS, subscriptions to the traditional pay-TV platforms has been on a downward curve since 2011 with the United States in negative territory since late in 2014. Only Asia-Pacific, which this year is showing an increase, is expected to fall in line with the rest of the world. 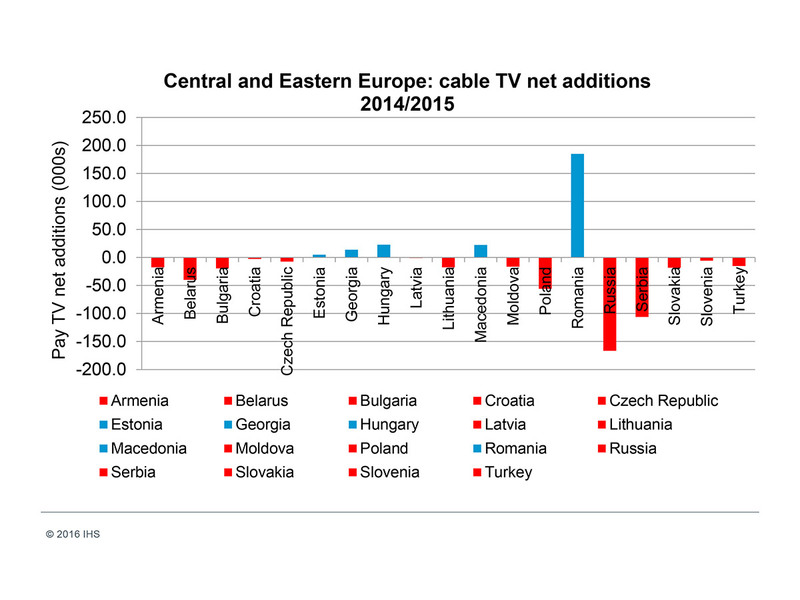 In a presentation to last week’s Cable Congress in Warsaw, IHS’s Ben Keen said only France and Spain had put on additional cable TV subscribers during 2014 and 2015. Germany, Netherlands and Switzerland had all seen significant falls. The trend is no better in Central & East Europe. The low revenue Romania bucks the trend with 180,000 subscriptions, against a significant drop in Russia and Serbia. In Western Europe, IPTV platforms provide the biggest threat; Central Europe is also under pressure from IPTV, though it’s pay satellite that has the edge here. However, the switch to digital TV services has seen monthly ARPU (Average Revenue Per Unit) rise to €12, allowing operators to shore up revenues. Keen’s presentation draws on the same IHS data used by Cable Congress organisers Cable Europe in its opening statement. 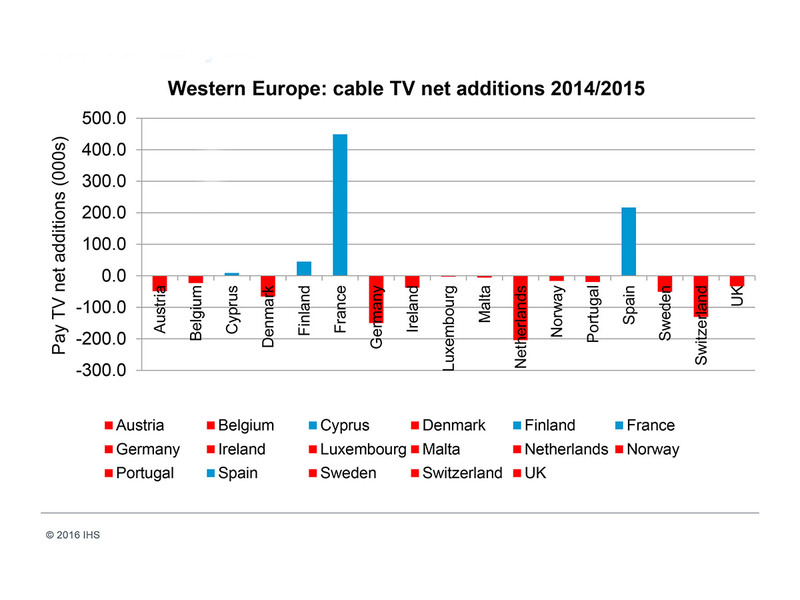 Cable Europe drew on the EU 28, but IHS counted, Europe as a whole, hence the discrepancy in totals. Julian Clover is a Media and Technology journalist based in Cambridge, UK. He works in online and printed media. Julian is also a voice on local radio. You can talk to Julian on Twitter @julianclover, on Facebook or by email at jclover@broadbandtvnews.com.